The event features two tastings followed by a dessert buffet on the rooftop of the Fontaine on the country club plaza. "We're excited to see so many partners come together to host and promote this unique event that highlights the city along with local food and businesses,” says Alicia Ellingsworth, farm to institution manager at KC Healthy Kids. KC Healthy Kids’ farm-to-table progressive dinner will take place on Tuesday, October 17. 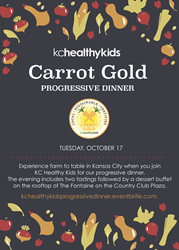 Kansas City’s only farm-to-table progressive dinner is hosted by KC Healthy Kids in collaboration with its network of Carrot Gold partners. The guests will enjoy tasting courses at two out of the seven partner restaurants that are participating in the event. After dinner, they will head to 901 West on the rooftop of The Fontaine for drinks and dessert. In the spirit of progressive dinners, where different courses are prepared and shared at different homes, this dinner adventure will take the guests on a tour of some of Kansas City’s finest farm-to-table restaurants. The adventure features three separate routes for course tastings with our Carrot Gold partners. A surprise element comes in when KC Healthy Kids picks the routes, not the guests. The guests will know their route to the dinner by October 15. “We're excited to see so many partners come together to host and promote this unique event that highlights the city along with local food and businesses,” says Alicia Ellingsworth, farm to institution manager at KC Healthy Kids. “The Carrot Gold network is one of collaboration and sharing. We aim to demonstrate that during the event,” she said. Carrot Gold grows the demand for local food and keeps farmers farming. 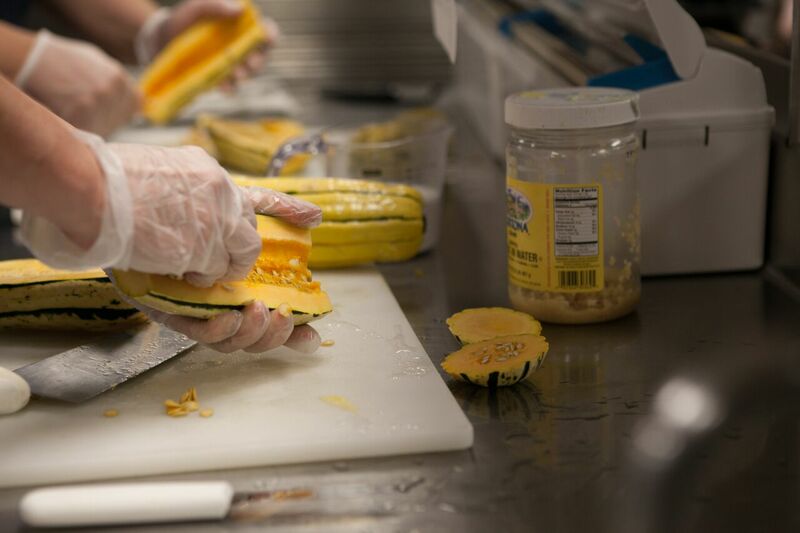 It’s a network of restaurants and institutions that are setting the standard for local food purchasing, sustainable kitchen practices and healthy menu options. The growing list of partners includes restaurants, schools, corporate cafeterias, government facilities, grocery stores, value-added producers and food trucks.